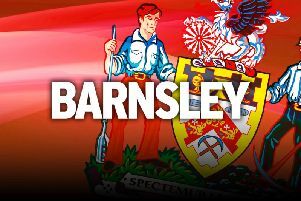 Barnsley FC: The proof is in the Yorkshire pudding! When Barnsley brought in a manager from Germany that few had heard of, there was always a sense that things were going to be different. But midfielder Cameron McGeehan admits he has been won over by Daniel Stendel's methods and the proof is in the pudding. Stendel entered the record books alongside Lee Johnson in delivering a joint-best league start to a Reds managerial career and they have kicked on to become firmly in the promotion mix with a third of the season gone. Stendel, previously manager of Hannover, and his assistant Andreas Winkler have their own way of doing things, but McGeehan insists the squad are enjoying life. “There is a lot of different stuff, the structure of the week is slightly different,” McGeehan admitted. “We are in different days, training methods are slightly different, but we are really enjoying it. It is a new experience for Stendel too as he had no previous taste of English football. The physical and relentless nature of League One can be a tough starting ground, meaning the German is also on a learning curve. McGeehan added: “The manager and his team are learning about the league and seeing the different challenges you are going to come up against. “The lads are really enjoying it and buying into it and as you can see it is working. Stendel's arrival gave the chance for a number of players who fell off the radar in last season's Championship relegation to restart their Barnsley careers. McGeehan was one of those who was out of the picture, spending the second half of last term on loan at Scunthorpe, and Alex Mowatt is another following a stint at Oxford. Mowatt has been a key player in Stendel's midfield and McGeehan reckons both men benefitted from time away from Oakwell. “When a new manager comes in it is a clean slate for everyone, that has told more so with Al as he has played every game,” McGeehan said. “It is good to see that and you learn a lot from experiences. It is not going to be all rosy going on loan, it is not going to be ideal, so you learn a lot from it.